Unless you don't speak or look at your children, you will know about Loom Bands. The latest craze involves children creating different types of fashion items out of small coloured rubber bands. Even suit jackets have been put together using them! My step son has been designing some of his own, self taught through watching youtube instructional videos. It was discussing them with him that I realised the potential of using this craze as a focus in the classroom. I asked them to explain what they were? How to make one? The enthusiasm he responded with got me thinking about how I could harness that in class. Today, I was lucky enough to be invited to present at the Frog Conference 2014 at the ICC in Birmingham. An incredible venue and some great speakers sharing some fantastic ideas. I presented a 45 minute presentation looking at ways in which I have used iPads to enhance the Literacy curriculum. Through blogging and using different apps, I shared examples of work that demonstrated how iPads can make learning real, relevant and interesting for children today. I have been offering training through Frog for about a year and have written a guide to Camouflage learning which is available through their website. I was lucky to meet the inspirational Tim Rylands and Sarah Nield who finished the conference with their amazing keynote full of incredible ideas and free tools for teachers to use for an array of different lessons. It was great to hear their feedback on my session and thank Sarah for taking some pictures which I have shared below. You can read about their view on the conference here. Yesterday, I travelled to meet Alan Peat, where I was introduced to other teachers he currently is working with on a number of projects. Although not a exclusive group, the individuals were chosen as we each offer something different, but all have the same approach similar to Alan's philosophy of improving standards in the classroom with ideas that work! I have been working as part of Alan Peat Ltd for nearly a year and the support and guidance both Alan and Julie have given me has been invaluable. I am very grateful to be working for and with them. My input to the #go2team is the training I provide in schools, clusters and conferences focusing on using technology to improve and enhance learning. 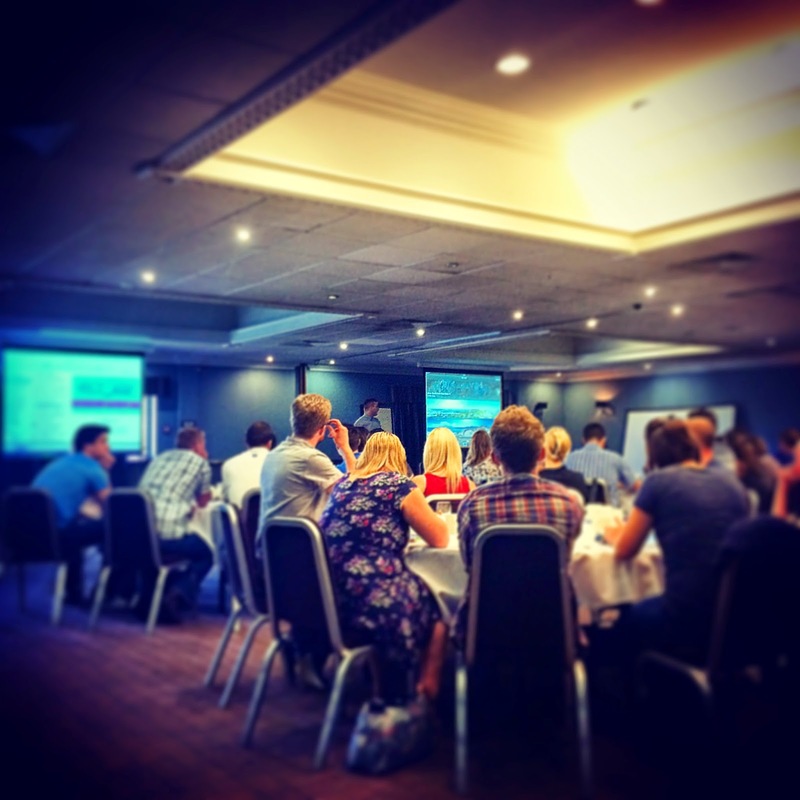 On Friday, I had my first conference at the Village hotel in Dudley - "Alan Peat presents USING TECHNOLOGY TO DELIVER THE NEW PRIMARY & LITERACY CURRICULUM." Sometimes it doesn't take much to spark children's imaginations. The iPad has proved to be a fantastic tool to engage children in their learning and something I really showcase through this blog, but here is another way to immerse children through an image. The Anaglyph 3D glasses are available from Amazon for £1.50 for 3, meaning a class set will cost you £15. A simple Google search will reveal hundreds of fantastic 3D pictures you can then use as a stimulus in the classroom with your 3D glasses. The children can then really immerse themselves into the image which will spark their imagination, creating a real WOW moment that a teacher can harness into some quality writing.